By now the idea of a curved iPhone 8 isn't new, however fresh details from a source familiar with the Apple flagship's design paint a less dramatic picture than what some may have had in mind. The person, speaking with Japan's Nikkei, says the top offering in this year's iPhone crop will have an advanced OLED display that curves at the edges, however the contours won't be as severe as what we see on the Samsung Galaxy S7 Edge. Users will have viewable screen real estate of about 5.2 inches on the iPhone 8, and while a curving display allows for this plus a slimmer overall profile, that folded bit of phone won't actually do much, either. Yes, sadly, while you'll have iPhone 8 screen that drips over the device's edges, "it will not offer significant new functions", Nikkei reports. 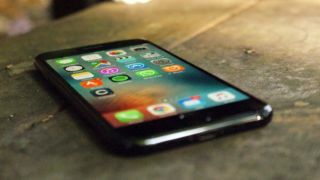 Apple is expected to release two phone upgrades this year – the iPhone 7S and iPhone 7S Plus – along with the iPhone 8 that will mark the iPhone's 10th anniversary. The standard iPhone S releases are expected to stick with supine screens. According to the report, there's challenges in crafting curved glass coverings that match with phone displays, and this is partly to blame for the iPhone 8 going with quieter curves. Ironically, Samsung Electronics is reportedly providing the iPhone 8's curvy screens. On the Galaxy S7 Edge, you can customize the apps and panels that appear around the phone's curved parts. None of them are groundbreaking features, and the entire concept of a curved phone is more novel than anything else, many would argue. It's unclear if the iPhone 8 will offer fewer functions on its curved panels than the Galaxy S7 Edge, however if there is less of a bend to begin with, this would seem to be the case. In other words, the iPhone 8 display's curves might merely be for show. We won't see what Apple has cooked up until September, curves or not, and the phone's design could change between now and then. With the iPhone 8 price reportedly skyrocketing, Apple will likely need to offer more than a curved screen to woo new buyers.